A research team has used neuroimaging techniques to investigate how being in a romantic relationship produces alterations in the architecture of the brain. They found that being in love is associated with increased connectivity between regions of the brain associated with reward, motivation, emotion regulation, and social cognition. Research from McGill University reveals that the brain’s motor network helps people remember and recognize music that they have performed in the past better than music they have only heard. The human brain can select relevant objects from a flood of information and edit out what is irrelevant. It also knows which parts belong to a whole. If, for example, we direct our attention to the doors of a house, the brain will preferentially process its windows, but not the neighbouring houses. Psychologists have now discovered that this also happens when parts of the objects are merely maintained in our memory. Researchers have found that teens who smoked marijuana daily for several years have an abnormally shaped hippocampus and do poorly on tasks involving long-term memory. A new study has shown how intentional recall is beyond a simple reawakening of a memory; and actually leads us to forget other competing experiences that interfere with retrieval. New York University researchers have devised a computer model to explain how a neural circuit learns to classify sensory stimuli into discrete categories, such as “car vs. motorcycle.” Their findings, which appear in the journal Nature Communications, shed new light on the brain processes underpinning judgments we make on a daily basis. Researchers have come up with a new way to evaluate how well computers can divine information from images. The team describes its new system as a “visual Turing test,” after the legendary computer scientist Alan Turing’s test of the extent to which computers display human-like intelligence. Thousands of genetic “dimmer” switches, regions of DNA known as regulatory elements, were turned up high during human evolution in the developing cerebral cortex, according to new research from the Yale School of Medicine. Finally this week, a new study finds that giving a drug that changes the neurochemical balance in the brain causes a greater willingness to engage in prosocial behaviors, such as ensuring that resources are divided more equally. Without the thousands of people who volunteer to have their brains scanned each year, many areas of modern neuroscience research would not be possible. 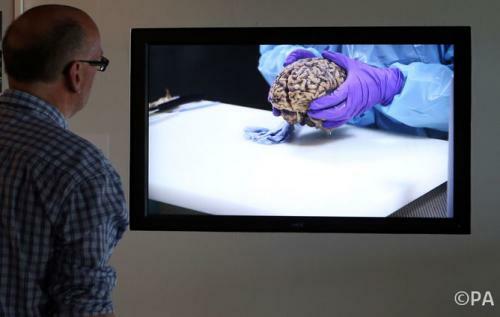 But what is it like to have your brain scanned? This Wellcome Trust video shows us. Brain imaging pioneer Nancy Kanwisher, who uses fMRI scans to see activity in brain regions (often her own), shares what she and her colleagues have learned: The brain is made up of both highly specialized components and general-purpose “machinery.” Another surprise: There’s so much left to learn. Scientists have found a way to determine what emotions you’re feeling by looking at brain activity measured by imaging technology. The findings, published in the journal PLOS ONE, are important to emotion research because they bring “a new method with potential to identify emotions without relying on people’s ability to self-report,” study researcher Karim Kassam, an assistant professor of social and decision sciences at Carnegie Mellon University, said in a statement. For the study, researchers used a combination of brain imaging — functional magnetic resonance imaging — and machine learning. They recruited 10 actors from the university’s drama school to act out different emotions, such as anger, happiness, pride and shame, while inside an fMRI scanner, for multiple times in random order. To make sure that researchers were able to measure the actual emotions and not just the acting out of emotions, they had the study participants also look at emotion-eliciting images while undergoing FMRI brain scans. “Despite manifest differences between people’s psychology, different people tend to neurally encode emotions in remarkably similar ways,” study researcher Amanda Markey, a graduate student in the Department of Social and Decision Sciences at the university, said in a statement. When faced with a difficult decision, it is often suggested to “sleep on it” or take a break from thinking about the decision in order to gain clarity. But new brain imaging research from Carnegie Mellon University, published in the journal “Social Cognitive and Affective Neuroscience,” finds that the brain regions responsible for making decisions continue to be active even when the conscious brain is distracted with a different task. The research provides some of the first evidence showing how the brain unconsciously processes decision information in ways that lead to improved decision-making. A study from Karolinska Institutet in Sweden has shown that neurons in our brain ‘mirror’ the space near others, just as if this was the space near ourselves. The study, published in the scientific journal Current Biology, sheds new light on a question that has long preoccupied psychologists and neuroscientists regarding the way in which the brain represents other people and the events that happens to those people. New drugs which may have the potential to stop faulty brain cells dying and slow down the progression of Parkinson’s, have been identified by scientists in a pioneering study which is the first of its kind. Neuroscientists have discovered that a virtual-reality hand, which is synchronized to “pulse” in time to an individual’s heartbeat, creates the illusion in the brain of “body ownership” – with the brain believing the hand is part of its own body. Cornell researchers have developed a reliable method to distinguish memory declines associated with healthy aging from the more-serious memory disorders years before obvious symptoms emerge. The method also allows research to accurately predict who is more likely to develop cognitive impairment without expensive tests or invasive procedures. People who suffer from the common gastrointestinal disorder irritable bowel syndrome (IBS) have more stress-related memory problems than others, according to a new study. The researchers also found that levels of the stress hormone cortisol were related to poor memory performance. While stress has long been known to affect gut symptoms, this is the first study showing that stress also impacts on cognition in IBS. 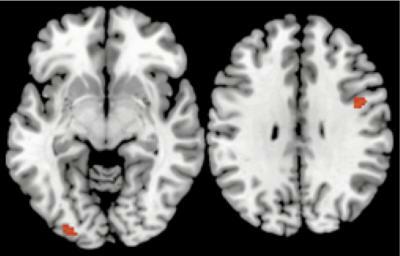 In a new study using functional magnetic resonance imaging (fMRI), researchers have found that the same brain networks that are activated when you’re burned by hot coffee also light up when you think about a lover who has spurned you. Scientists may have discovered a “sixth sense” that relates to something called numerosity, which involves the ability to rapidly assimilate the number of objects within one’s field of vision. The team behind the study used fMRI scans to highlight the activity of a key area of the brain, which seemed to alter its response based upon the number of objects perceived. Magnetoencephalography (MEG) can detect activity at the millisecond level. A boost in the speed of brain scans is unveiling new insights into how brain regions work with each other in cooperative groups called networks. Researchers at Washington University School of Medicine in St. Louis and the Institute of Technology and Advanced Biomedical Imaging at the University of Chieti in Italy are turning to faster technology called magnetoencephalography (MEG) to sample neural activity every 50 milliseconds. In doing so, they’ve been afforded novel insights into the inner-workings of neural networks in resting and active brains. As the researchers report in the journal Neuron, these new insights could help us better understand how brain networks function and, in turn, better diagnose and treat brain injuries. Medical researchers at the University of Alberta recently published findings showing that brain development is delayed throughout childhood and adolescence for people born with Fetal Alcohol Spectrum Disorder (FASD). Whenever we have to acquire new knowledge under stress, the brain deploys unconscious rather than conscious learning processes. Neuroscientists at the Ruhr-Universität Bochum have discovered that this switch from conscious to unconscious learning systems is triggered by the intact function of mineralocorticoid receptors. Researchers have reverse-engineered the outlines of a disrupted prenatal gene network in schizophrenia, by tracing spontaneous mutations to where and when they likely cause damage in the brain. Some people with the brain disorder may suffer from impaired birth of new neurons, or neurogenesis, in the front of their brain during prenatal development, suggests the study. Autism is marked by several core features — impairments in social functioning, difficulty communicating, and a restriction of interests. Though researchers have attempted to pinpoint factors that might account for all three of these characteristics, the underlying causes are still unclear. Now, a new study suggests that two key attentional abilities — moving attention fluidly and orienting to social information — can be checked off the list, as neither seems to account for the diversity of symptoms we find in people with autism. Physicists and neuroscientists from The University of Nottingham and University of Birmingham have unlocked one of the mysteries of the human brain, thanks to new research using Functional Magnetic Resonance Imaging (fMRI) and electroencephalography (EEG). The work will enable neuroscientists to map a kind of brain function that up to now could not be studied, allowing a more accurate exploration of how both healthy and diseased brains work.